The world changed in 2011. Did you feel it? No doubt you saw it changing on TV, on Twitter, on YouTube, on your mobile phone. Did your heart swell with pride? Did the emotion of a history-changing moment grip you and render you teary-eyed? There were so many events this year that captured our attention. Regimes crumbled, cities burned, young revolutionaries rejoiced. And in the rush of those events, we felt we were part of it. That finally, within our lifetimes, people could use their mass and will to effect dramatic changes in the lives of ordinary people. It’s important to remember that every revolutionary event began with a belief and a person who believed passionately enough to make it happen. Enterprise as we know it changed this year as well. 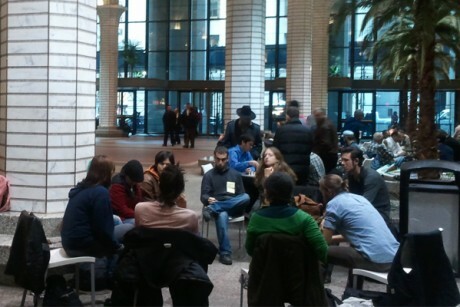 Serving as a wonderful backdrop to this #occupyenterprise story, I was happy to see that the #ows movement in NYC was meeting in the lobby of Deutsche Bank. Although I support the #ows movement in spirit, I’ve chosen to change these large organizations from within. In a nutshell, that’s what we’ve been doing in the Council. In fact, our guy at Deutsche Bank is making a lot of progress. Last June, John Stepper presented his case study at the Enterprise 2.0 conference in Boston. In closing, he left the audience with this lesson: “Don’t just retweet other people’s revolutions. Start your own. Apply the big ideas to real problems at your company and change the work.” Change at these powerful institutions is not going to happen over night, but it is happening today. And our members are driving that change every day. In the Social Business Council, we have a popular tag: #clang usually followed by several exclamation points. If you search #clang on our Socialcast site, you’ll retrieve 146 posts. 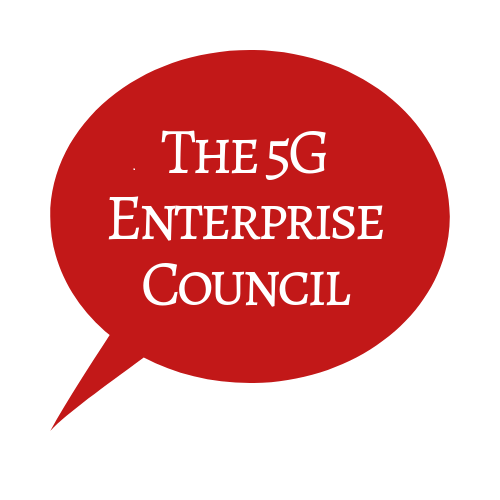 That’s 146 times our members have either posted or commented on an enterprise-changing event made by one of our members. The cases run from the minor, but very significant, to the blow-your-mind-this-is-really-happening variety. Watching the progress our members are making is history in the making. Sometimes I feel like I’m an embedded reporter. It’s not a violent war, but an ideological one. The Council members are fighting for a new way of working where freedom of ideas will produce increased employee motivation and loyalty which in turn will spur innovation and problem-solving. Yes, business objectives are driving this change, but the natural by-product is the humanization of the workforce. Transparency will go a long way to revealing the unsavory underbelly of the corporate beast. One of our members, Andrew Carasone of Lowe’s Home Improvement, has done a fantastic job of explaining how social business drives business performance. It’s predicated on using social business change as an organizing force, embracing a culture of sharing vs. a culture of fear of “not knowing.” He also has some insightful views on how the formulas for human capital incentives and achievement need to be rewritten. In short, reward competition less and collaboration more. If you see yourself as a change agent, or someone who believes in the power of the “Think Different,” you have a home in the Council. Our members are deployed in the largest organizations in the world. We are changing the world from the inside out. Join us. Next Next post: CES show for the Enterprise launches with CITE – Be there!